After our days of eating whitefish on Great Slave Lake, it was time to head south. We left Hay River and made the long trek to Edmonton – have we mentioned how happy we are that podcasts exist? WHAT WOULD WE DO WITHOUT OUR REGULAR, ON-DEMAND EPISODES OF Q? On our first morning in Edmonton, I did a quick count of the people I know there, and determined it’s three: Stephanie, Amos, and Garrett. 20 minutes later, Garrett cycled past! 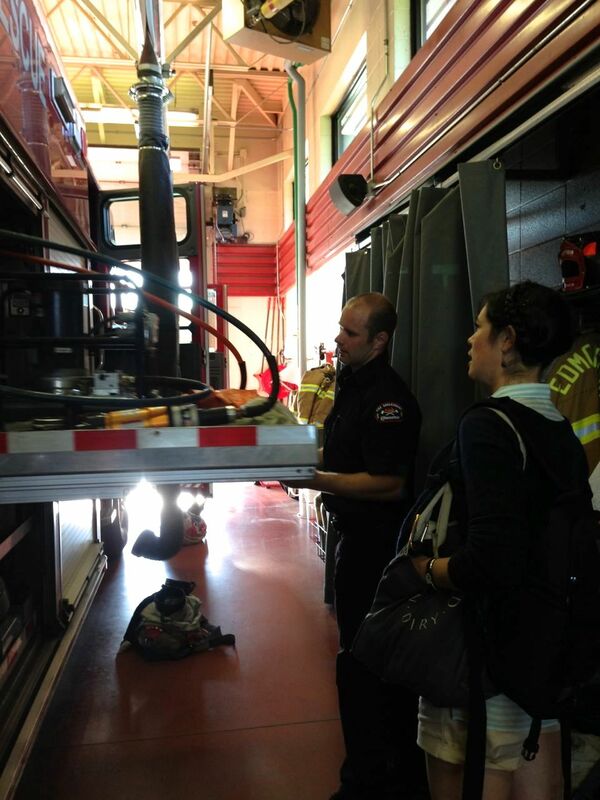 That’s how we found ourselves at a fire hall later that evening, sitting in giant fire trucks and learning about the Jaws of Life. We were going to do a feature on firefighters cooking together, but then they got a call and were gone in 30 seconds. Seriously, 30 seconds! A delightful visit nonetheless. Other adventures in the city included a visit to Duchess Bakery, which more than one person had insisted we visit. We shared a number of lovely treats, including this outstanding cherry pie, and had a tour of the back. There, I encountered the biggest slab of butter I’ve ever seen, and seeing it thrilled me so much, I think my arteries became concerned. Duchess is an impressive operation – they employ 18 pastry chefs, all working in a flour-dusted flurry. 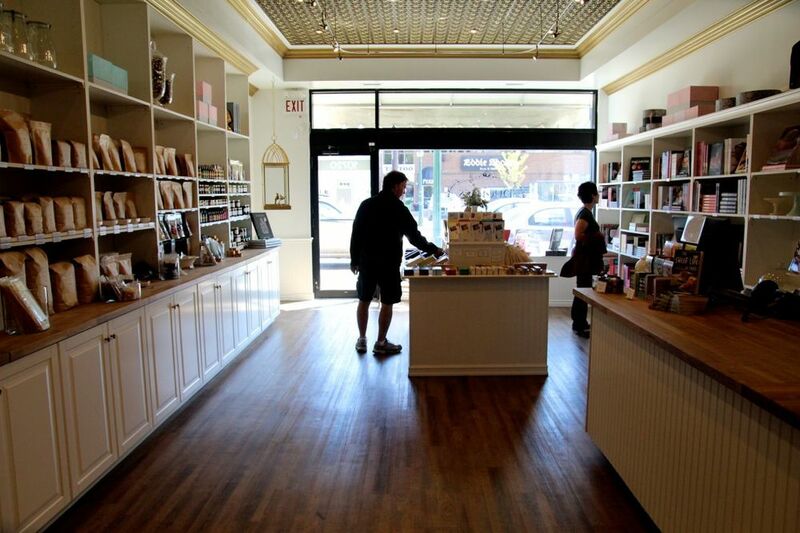 They’re known for their gorgeous cakes, macarons, refined French pastries, and have now also opened a ‘provisions’ shop, where people can buy ingredients for their own pastry projects. Unfortunately, there were no 30lb slabs of butter for sale. We also visited Mill Creek Culina, a popular spot for dinner. 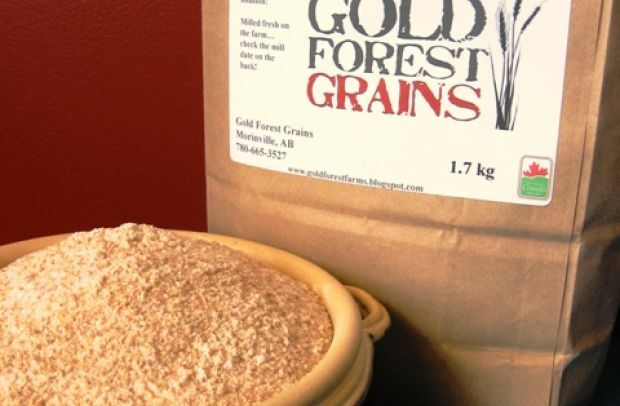 Their dishes feature quality local ingredients, including Red Fife bread made with John Schneider’s Gold Forest Grains flour. He grows a variety of heritage wheats, and I was in touch with him when I wrote my masters thesis on Red Fife several years ago. Red Fife is a wheat with a somewhat mythic history, and it’s thought to have arrived in Ontario via Scotland, via Poland (or maybe Turkey? ), in the cap of a ship passenger. However it came, it was grown in Canada by David Fife, and made its way to the prairies, where it was the first variety to be grown successfully on a large scale. Eventually, other easier to grow varieties (like Marquis) took-over, but recently it has experienced a revival thanks to some Canadian and American small-scale growers. Red Fife’s flavour varies depending on where it’s grown, but it usually imparts a reddish hue to the bread, has a slightly nutty taste, and can sometimes be eaten by people with an intolerance for more conventional, genetically-modified flours. Mill Creek Culina’s bread made with Gold Forest Grain’s flour struck us as particularly remarkable because it had a cinnamon-y flavour, and I wished I had an entire loaf to snack on. Whether it’s Red Fife or another heritage grain, pick yourself up a bag if you can, and try it in some of your baking. It’ll prove to you all flour is not created equal. And now, what better band to bring us into the province than The Rural Alberta Advantage?